It has been busy after Christmas and New Year celebration. I took advantage of quiet month to prepare some new workhops. One of them will teach you how to make little girl’s dress. 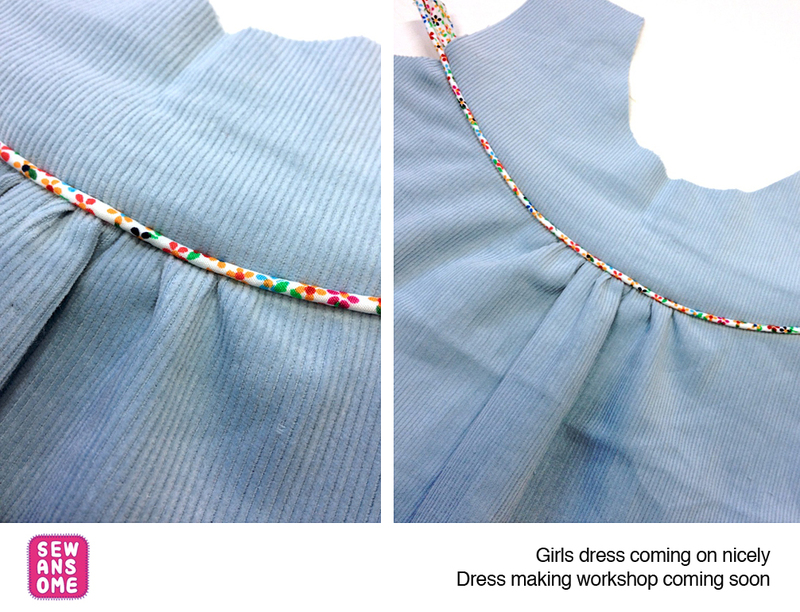 See photo of the dress in progress. With this project you will learn how to make a pattern from commercial pattern, cut it out, make piping, pockets, finish seams and make buttoned closures on the back. I love the colorful piping!